9 Commercial Real Estate and Properties in Hunter Valley are listed in 9 categories. We have 106 Industrial Warehouses for Lease , 81 Offices for Lease , 81 Retail Shops for Lease , 21 Showrooms for Lease , 9 Medical and Consulting Properties for Lease and 6 Other Commercial Properties for Lease . Starr Partners are pleased to offer for lease this outstanding café/restaurant opportunity in the heart of the thriving Maitland CBD. Located within a historic landmark building c1888 is a ground floor space fully equipped and ready for service. Features Include: • Fully equipped commercial grade kitchen • Approved for 70pax • Air conditioned • Liquor license available subject to approval • Wall to floor tiling • Extraction system with stainless steel canopy • 3 phase power • Double wash up sinks • Hand wash sinks • Floor drains for easy wash down • Wall & floor tiling • Full amenities on site • Surrounded by numerous parking options Rarely does such a space become available within the CBD. . 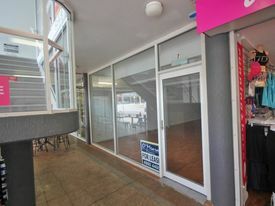 Right In Town $30,000/Year Plus GST Plu..
39m2 space right on Magnus Street and the walkway through Nelson Towers. You can't get a better space for food, fashion or other retail business. Make this the location for your business! 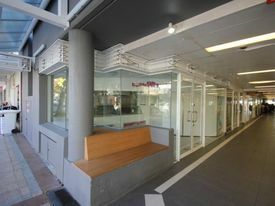 Suitable for a wide range of businesses this 68m2 shop offers street level convenience at a budget rent. With two split system air conditioners, timber look lino and generous kitchen/staff area much of the fit out is already in place. Adjoins highly successful and high traffic flow food business. Owners are very keen to see this space occupied asap! If you've been searching for a location for your business that sees thousands of vehicles passing daily & to be surrounded by other "destination businesses", then look no further!!! • Rectangular shaped space • On site & dedicated car parking • Suit many uses (retail / automotive / showroom) • Easy access into & out of the site • Surrounded by Service Station / Coffee shop & Mechanical workshop • Available now! • Pole sign with lighting available to purchase to further enhance your visibility to the passing traffic flow. The Perfect Outlook $57,549.80/Year plus outg..
Fingal Bay Retail Space $17,160/Year including ou.. 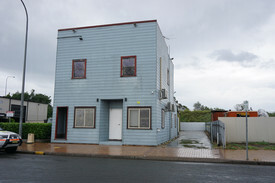 Corner frontage from this approximately 132 square meters of retail space in the surfside town of Fingal Bay. This property could be used for a multiple of uses from retail, beauty or office space. A rarely available 31 Square Metre shop is now available in Nelson Towers. 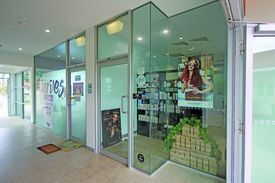 This shop has been a fashion boutique for 25 years and an active wear shop for the last four and is ideally located in this high traffic arcade that flows from Magnus Street through to Victoria Parade and D'Albora Marina. Shop is well appointed and requires minimal fit out. Ideal starter in a fantastic location.